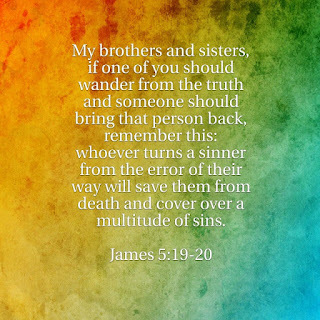 James 5:19-20 is the verse we will be looking at this Sunday in our 10:30am service and will be preached on in out 11;30am service. Read it - pray about it - think about it - share it. This image has been shared on our Facebook and Twitter feeds to enable you to share it with others. 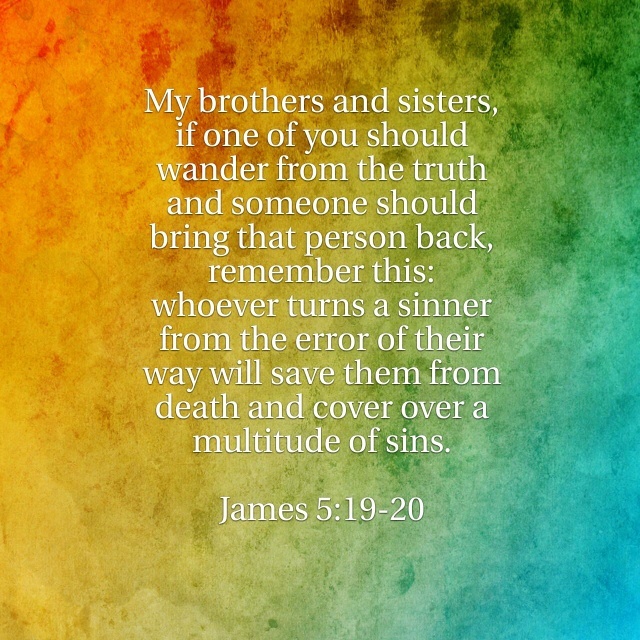 Or you can use the tools below to help you share this Bible passage with the people in your world.